Even during the financial crisis, Lenze has continued to invest heavily in research and development and reinforce its position as a system partner. Visitors to SPS/IPC/Drives, which is taking place from 23rd to 25th November 2010 in Nuremburg, will be able to see this for themselves. The drive and automation solutions specialist, based in Hamelin, Germany, will be presenting a vast range of new devices which supplement the existing portfolio in Hall 1, Booth 360. The new products, which will be shown to the public for the first time, include the L-force Controller 3200 C motion controller range, which is based on an architecture with an atom processor, which has been developed from scratch. The controllers, which have been designed for top hat rail mounting, are particularly robust and compact and have been optimised for a wide range of applications. This means that the L-force Controller 3231 C is ideal for applications in which PLC, motion control and visualisation functions need to be combined on a single device. The integrated highly deterministic 48 MHz backplane bus allows users to add belts directly to the controller from the I/O system 1000. In cases where a control system needs to communicate with a remote I/O station via a high-speed bus connection, Lenze’s product range already features the perfect solution. 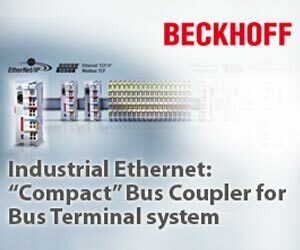 With the new bus controllers for EtherCAT and PROFINET, users can benefit from the high-quality performance of the backplane bus while transferring data at up to 100 Mbps between the control system and the I/O system. Another highlight set to be premiered at the fair and introduced seamlessly into the existing product portfolio is the Inverter Drives 8400 TopLine inverter series. Going beyond the functional scope of the 8400 HighLine, the new versions of the successful inverter range can even control permanently excited synchronous servo motors. As a result, these modern inverters have been able to advance into areas previously dominated by servo amplifiers.